Considering the bleakness of the film, Inside Llewyn Davis, there&apos;s something altogether satisfying about the sudden real-life success of lead actor Oscar Isaac. When asked recently at a screening of Inside Llewyn Davis why they made a movies about failure, Joel Coen said he and his brother are fascinated by such stories "Because all the success stories have all been done." The brothers&apos; latest film, Inside Llewyn Davis, (spoiler alert) is the farthest thing from a success story. Telling the tale of one man (Llewyn Davis) in a dying folk music scene in 1961 New York City, Inside Llewyn Davis is a traditional underdog story with two twists — Llewyn (Oscar Isaac) does not succeed, and you barely want him to. Why do we need to pretend that Oscar Isaac is an overnight success? This is not new territory for the Coen brothers, but the sudden attention Isaac is receiving is new for him. He has been praised profusely for his work in this film, and many even expect an Oscar nomination for him. Because of this role, Isaac is being awarded titles you never knew existed — "Our Next Great Movie Star" — and the film itself is critically acclaimed, having won the Grand Prize at the 2013 Cannes Film Festival. Meanwhile, everybody is commenting on his rapid success. A reporter even asked him, "Where have you come from?" The press sees this as his "breakthrough role." But, in fact, he&apos;s been breaking through for quite awhile. As in Llewyn Davis, nobody succeeds overnight; often, in fact, they don&apos;t succeed at all. Why do we need to pretend that Oscar Isaac is an overnight success? Millennials especially are drawn to tales of underdog success, and that&apos;s one of the reasons the media spins them. We all love to hear about the man who finally gets the recognition he deserves, the woman who fights back against the chauvinist and wins her dignity — because from a young age we are told that we can do anything, be anything, and that, when we succeed, we&apos;re just getting our due. 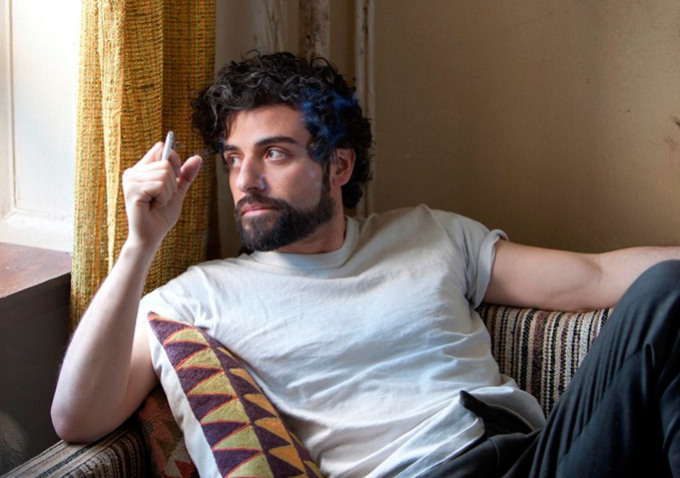 Inside Llewyn Davis viciously attacks those ideas, but Oscar Isaac supports our love for the underdog even as he complicates it: he may finally be getting his recognition, but it took nearly two decades. Isaac is an underdog for the Oscars even after almost 20 years of filmmaking. If the lesson of the film is that sometimes we try and don&apos;t succeed, it is equally that real accomplishment takes persistence (and a little bit of luck). Oscar Isaac will be the first to tell you that his journey to lead actor in a Coen brothers&apos; film was not easy. "I&apos;ve been ready," he told Huffington Post, "It was life changing, man. It&apos;s the thing that I had hoped that I&apos;d get a chance to do, which is play the lead in a film." But with all of this talk about his sudden success, it is easy to forget that Isaac has been in many other films before this and no one really talked about him. He was Blue Jones in Zac Snyder&apos;s Sucker Punch, Prince John in Ridley Scott&apos;s Robin Hood, and Carrie Mulligan&apos;s husband in Drive. While these roles have been nothing to scoff at, they also have not been anything even close to A-list parts. The idea of being an overnight success implies that you started from nothing and suddenly the spotlight is on you. It&apos;s the story of the start-up entrepreneur who&apos;s company suddenly gets a $3 billion valuation, or the pop singer discovered on YouTube and rocketed to fame. What if Llewyn Davis hadn&apos;t come along? He could just as easily have gone the way of his greatest character — talented, but in the wrong place at the wrong time. Both Davis and Isaac work at their craft tirelessly, "paying their dues." Both have considerable talent. But where Davis&apos; timing was off (he&apos;s clinging to a dying folk scene), Isaac&apos;s was spot-on. And while the tale of Llewyn Davis may not have a happy ending, the real-life story of Oscar Isaac and his new found celebrity rekindles that belief in the ability to succeed beyond what you thought would be possible. It&apos;s the millennial dream renewed again: you actually can do anything if you work hard enough, but it won&apos;t always work out — only sometimes.